KT’s tour was well organized and thorough. all hotels we stayed at were very confortable and met ( many were well beyond ) european standard quality levels. 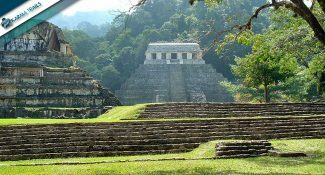 they ranged from modern to classical mexican style. the trip was quite lenghtly but the vehicles used by KT were modern and new always spacious, very clean and well driven. the cities, monuments and archeo sites visited were all on my personal – must see – list. 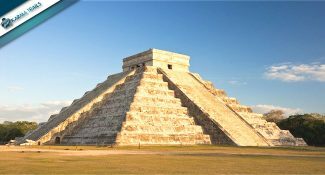 KT’s personnel, in particular Mr. Carlos Funez, followed us from our arrival in Mexico City till our departure from Cancun after 21 days. Mr. Carlos was always interested in our well being, safety and satisfaction rendering himself available 24/7 for any need we might have requested. but a special mention must be made of the guides KT placed at out disposal during the trip. 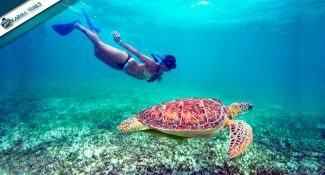 the guide is a very fundamental aspect, not to be disregarded or taken lightly , since it may render the trip successful or not for the traveller. in all we had 5 guides ( maybe too many ? ), two for one day each, two for four days and one for five day periods. one in particular excelled beyond all others ( no offense or disrespect meant here for anyone else ). Mr. Erasto Molino, whom we had the pleasure to be with from Oaxaca to Palenque was one step beyond and above all the rest. in fact, i am convinced and believe that if we would have had Mr. Erasto from the onset of the trip, it would have rendered it even more unforgettable and unique. the preparation, expertise and throuroughness shown by this person was simply startling. no trivialities but just interesting facts all along, which ranged from archeology, science, history, religion , local traditions and ending up with culinary, etc. etc. etc. he was continously querying us, all along, if we needed any further information or explanations or maybe had any questions to make. furthermore, and to be underlined, that Mr. Erasto was thoroughly fluent in italian. high praise goes to KT and Mr. Carlos for having said elements, to the caliber of Mr. Erasto as part of their team. another well prepared guide not to be forgotten was Mr. Olfo Reyes who accompanied us from Palenque to Playa del Carmen. 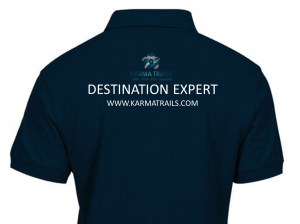 in conclusion, i personally highly recommend – Karma Trails – for any future traveller heading to Mexico who might be looking for a very serious and a very well organized tour operator. under any aspect you look at or consider KT, they come out with truly flying colors. out trip was a really wonderful experience, always to be remenbered and which proved to be far beyond our expectations. thanks again and a big – BRAVISSIMO – to Karma Trails and its organization.